Join for Fun and Phones! - The Telephone Museum is operated by The New England Museum of Telephony, Inc.
Join for Fun and Phones! OUR MEMBERS ARE “SUBSCRIBERS,” people who support our efforts and receive our thanks – and more – in exchange. 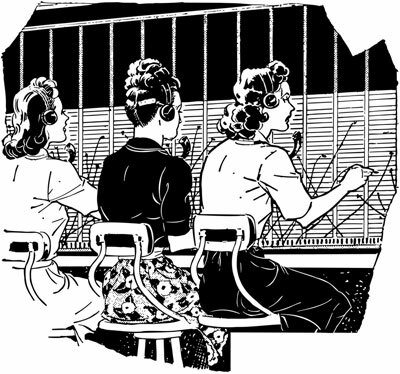 In the early days of telephony, subscribers were those who paid to have telephone service, and were given a wire into their business or residence, that connected them to the “central office” and, through that facility, to their community and the world. YOU WILL RECEIVE FREE ADMISSION to the museum, issues of “The Pole Line” newsletter and invitations to special exhibits and events. It is your opportunity to take part in preserving the history of the telephone network. DONATE NOW: Even if you choose not to become a member, your donation, in any amount, will help in a variety of ways: the day-to-day operation of the museum, the acquisition of important artifacts, special events, educational programs, the building fund, and more. DOWNLOAD the membership form here! BECOME A “LONG LINES” MEMBER and receive the above benefits for life. By joining at this level you will also be contributing to the museum’s Long Lines Endowment Fund, helping to insure the future viability of the museum. THE NEW ENGLAND MUSEUM OF TELEPHONY, INC. is a 501.c.3 non-profit organization. Donations are tax-deductible to the fullest extent of the law.